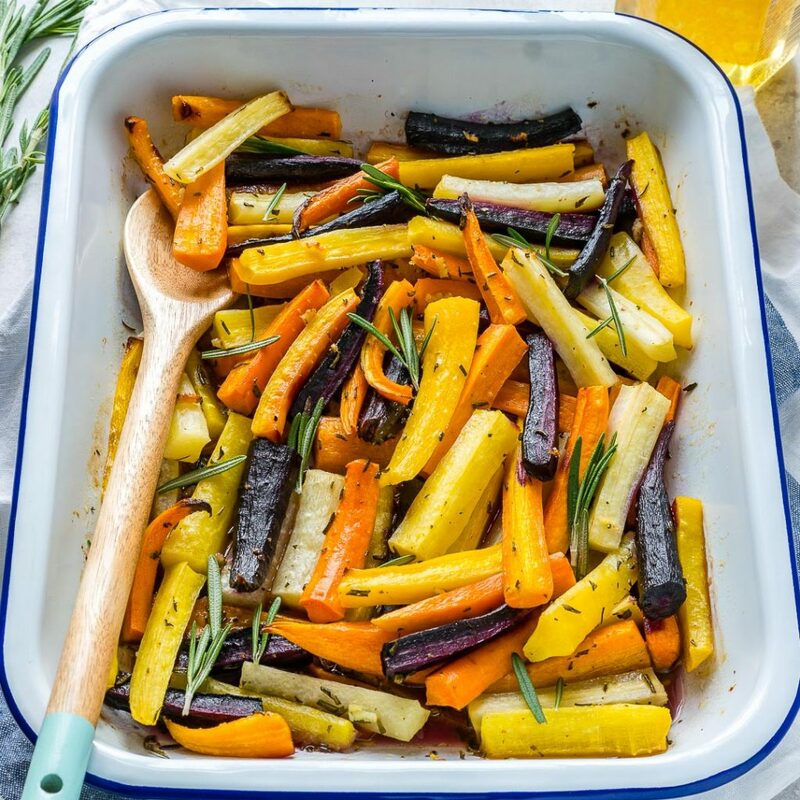 Side Dish Heaven: Honey Butter Herb Roasted Carrots! 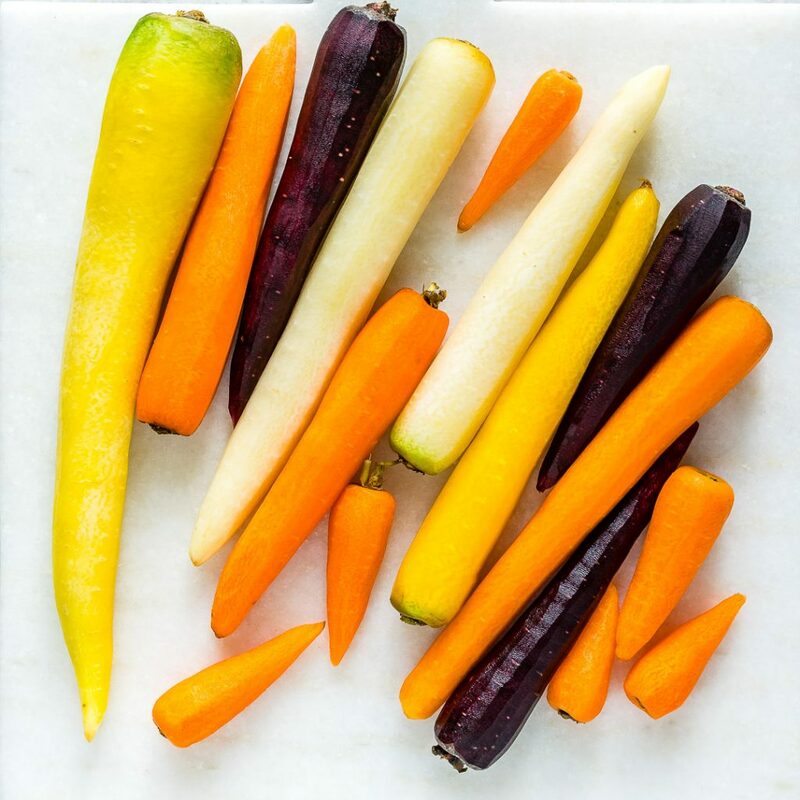 Preheat the oven to 400° degrees f.
Peel and cut carrots in half, then slice them lengthwise. Melt the butter/ghee in a small saucepan over medium-low heat. 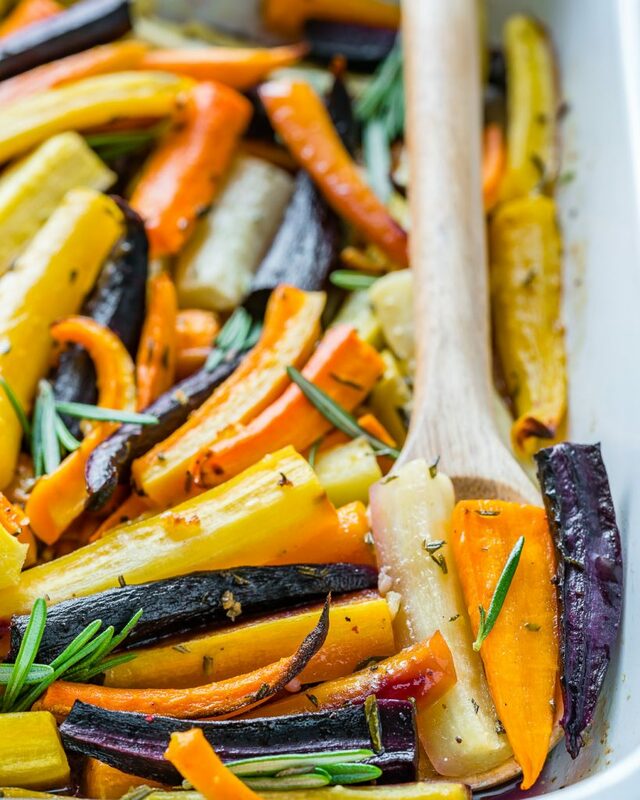 Once bubbly add in minced garlic, honey, and rosemary, whisk well and set aside. 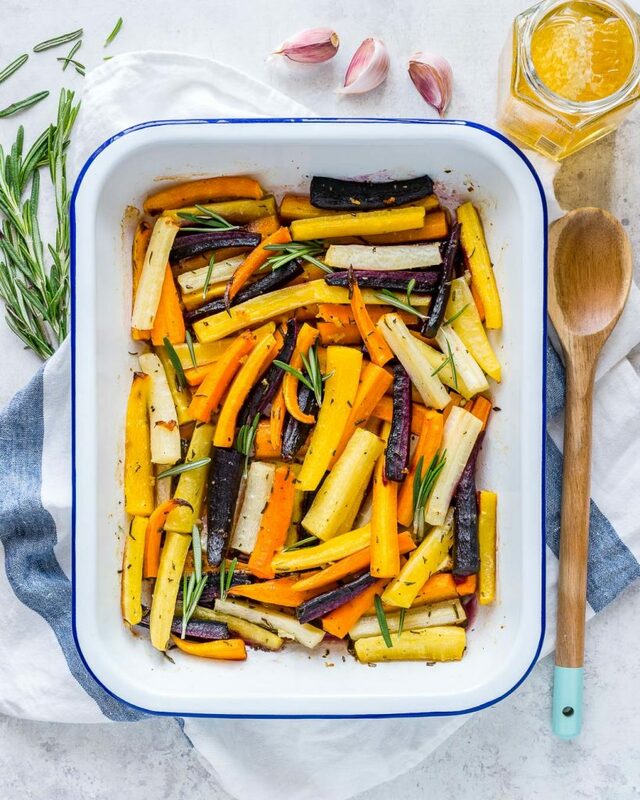 Place carrots in a shallow baking dish, and season with sea salt and pepper. 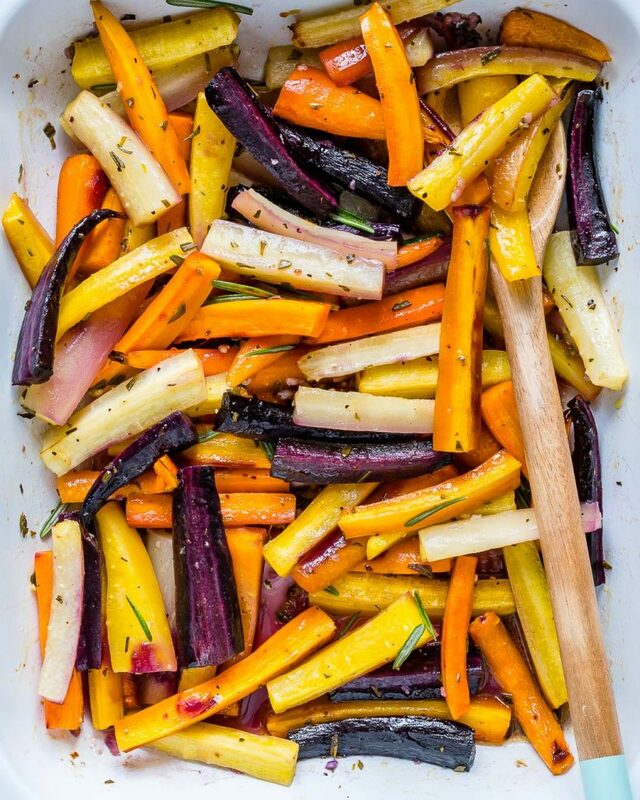 Pour the honey butter mixture over the carrots, then toss to get all the pieces coated. 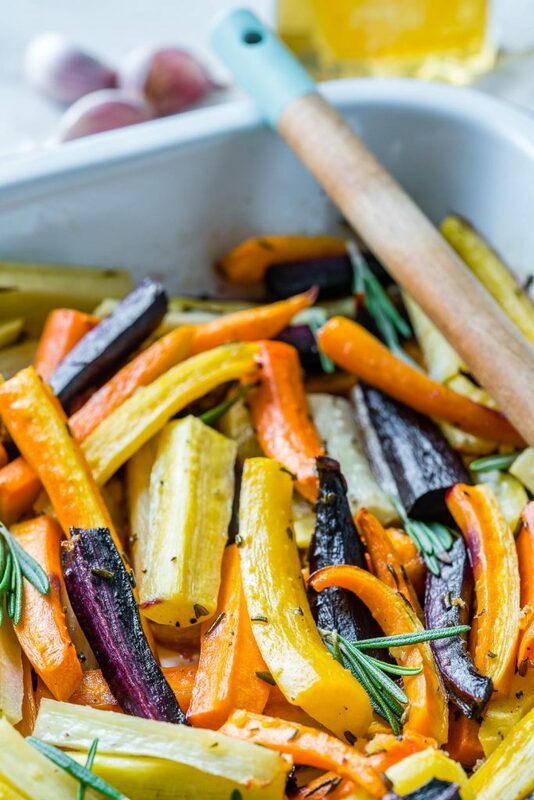 Roast in your preheated oven for about 30 minutes until carrots are fork tender. Once bubbly add in minced garlic, honey and rosemary, whisk well and set aside.